Save your daughter's later embarrassment by picking up a Resa Design dress for her picture perfect moment. Available in Clay, Temple, Pear, and Citrus. Looks great over jeans or dressed up. Mention today's blog for a full shipping refund when you order your DRESS by 7/30/08. 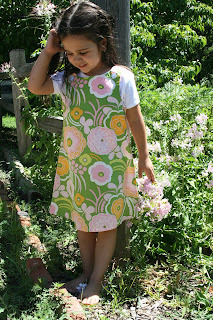 ** WIN a Resa Design Dress in Clay! We have one size 4 Clay Dress to give away. Leave a comment with your favorite Resa Design fabric and product and you'll be entered to win. Enter by 7/25 11:59 PM CST. One entry per household. Must live in the USA. Void where prohibited. Winner will have 5 days to claim prize. I think we may have been twins. I am going to email you a picture of my first day of Kindergarten!! My favorite fabric is the new Temple one! Mocca is a very close second. 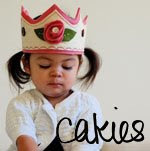 I love the dresses and would love to win the Clay dress for my little girl! Thanks for the great giveaway! oops...forgot to enter. I love them all, but I would have to pick pear for the first day of school. Thanks for the fun giveaway! I love the CLAY fabric and have always wanted one of the dresses for my little gal!! Thanks and can't wait to see who wins such an awesome prize! Citrus is my favorite fabric...but all are so beautiful! The dresses are beautiful. 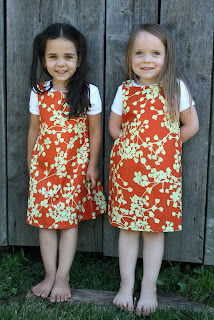 I love the pear fabric and know the girls would love it as well. I can't remember what I wore to my first day of Kindergarten. Hmm. I might have to dig through some pictures to see if I can find it. I love all of them but I would have to choose Temple. I love the dress in the Clay fabric. Beautiful! clay is my favorite but I also love the temple fabric! I love the clay and the temple dresses. The bibs... I like all the polka dot ones. I like clay the best, but if I have to pick another, citrus makes a gorgeous dress. Thanks for the great contest. My little girl would love this "pretty dress." I love the Temple dress!!! Thanks for a great giveaway! Great dresses. My favorite fabric is the Pear design. Looks like a great first-day-of-school outfit. They are all so beautiful and fun for little girls! I personally like the temple, but the Clay is so vibrant and fun too! I like the bibs and I like the dresses. The citrus pattern is nice. thanks. I love the dress in Clay! SO cute! I love being able to pick out the fabric when buying items for my kids! I really like the three piece set for new babies. It includes a changing pad, tee and burp cloth. 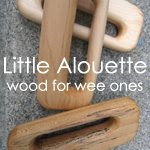 You can even customize the letter or shape on them! Too cute! I love the mocca and citrus prints and the dress is so classic. I love the sibling tees, too! Oh my - how to pick a favorite? I've been an admirer of Resa for some time now and I love it all! But these dresses have totally charmed me, especially the funky Temple pattern. It's definitely on my list of "must haves" for my daughter. I'm crossing all my fingers and toes that we win! I love the temple dress! The custom clothing options are cool, too! I like the temple fabric. i love the dresses...especially the recycled buttons! the pear is really adorable. I love the mocca fabric dresses, and I love that the dresses have the polka-dot fabric lining! How fun! Love the Mocca print. Really cute and fun. My favorite product is the Big Sister-brown with pink t-shirt. The fabric I like is called 'Opal'. LOVE the Temple and the sibling shirts are adorable too! I love all these new edgy fabrics! I love the pears fabric for the dress!! 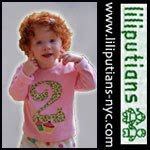 I have ordered t-shirts and burb clothes almost a year ago for my twins - and still use them!! My favorite item is the dresses and my favorite fabric is the Opal one. Love the color. The pear fabric is so pretty! My daughter loved the citrus dress, but I like the temple and clay dresses. This is a perfect dress for my almost 6 year old daughter who still wear size 4 clothes and doesn't want to look like a baby. Thanks! I really like the citrus print. With two daughters under the age of two, this would be a wonderful dress for them! I really like the girls dress in Temple. Love the different fabric choices. Thanks! I love all these prints, but probably the dress in Temple is my favorite. My favorite item is the dress! I'm stuck between the temple and clay prints. My fave would definitely be one of the other colorways that the clay print comes in, if you were to use them, but those two are gorgeous all the same! I love these dresses! The Green Apple fabric is my favorite, but the Mocca is my favorite fabric that the dress is available in. I love the Pear fabric. I remember having a corduroy skirt with an apple and pear on it for my first day of school. I love their changing pads! I love these! I think my favorite is Mocha, but it's hard to choose! thanks for the contest. count me in! Citrus one is my pick. I love Mocca. It's prefect for my niece. I choose Green Apple. Adorable. There are many other ones that I like. There are so many beautiful fabrics! I think the Clay fabric is my favorite though -- in the dress, the changing pad, whatever! These dresses are so adorable. They are all cute but the Mocca dress is my favorite. Thanks for the giveaway! 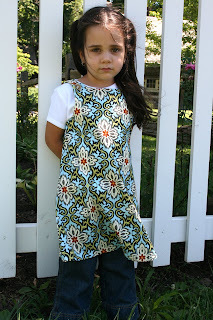 My favorite Resa design fabric is Opal, and my favorite product by far is the dress. I like the Mocca. The dresses are beautiful. Thanks so much for the opportunity. I love the dress in clay....matches the soil in NC. I love the dresses! The Clay is my favorite! The dress in Mocca is so cute. Thanks. katie_mmartin at yahoo dot com. I love the pear design my God daughter would love this dress she will be starting a private pre-k program this year. Thanks for the contest. I love the dress in Temple. Their little models are cuties! I love the temple and clay designs. My daughter would look adorable in these dresses. So cute...I love the pear dress. I think the Mocca & Pear are great designs! Love the Dribbler bibs, those look great! Oh and my e-mail is: purposedrivenlife4you AT gmail DOT com Thanks! My mom made my kindergarten dress and she definately wasn't a seamstress so I feel your pain! I love the Mocca dress. Thanks for the giveaway my 4 year old would love it. 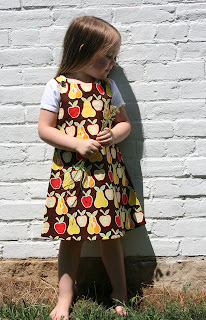 The pear dress is fantastic..I love summer fruit patterns. thanks for the chance. I love the dress in Citrus. But, they are all sooooo cute. Thanks! i like the clay fabric and temple dress. The dresses are beautiful! My favorite print is Mocca. I love the pear dress. My favorite is the moccca. What great jumpers. I think I like the burnt orange/light green fabric the best. I like the pear dress. Great giveaway, thanks! I do love the citrus dress, but I also have a little boy so I had to scan that section to! I do love the little brother onesie. How cute! The clay is my favorite,with the Mocca running a close second. My niece wears a 4 and this would look adorable on her. She is a real girly girl who only wears dresses!!! I like the temple design. I'm not sure what it's called but it's the green one with pink/orange flowers, etc. That's so cute! i love the custom designed ones...those little fabric shapes are so sweet! I love the dresses best - in Pear! Thanks for the chance! I really like the Mocca fabric for the temple dress. Gorgeous dresses, my favorite fabric is the mocha. I would love to win this Clay print dress for my best friend's daughter. she would just love it. Cute dresses, Citrus is my favorite. I really like the temple design on the dress in brown (or Mocca). But all the designs are great, very retro cool! They are gorgeous and my favorite is the pear design. I like the Clay dress. I love the temple print. I also liked Pear dress I liked it in 18m. 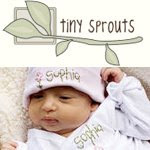 I hope to win this wonderful dress giveaway! My niece would look so pretty in her new dress. The temple design is the best in my eyes. I love the "dots" burp cloths! I would love this dress for my god-daughter! Awesome giveaway! I love the opal design of this dress!! I love the Mocca! It looks exactly like this shirt my mom wore for one of her school pictures! My daughter is starting preschool in the fall so I'm looking for that perfect first day outfit! The pear dress is adorable. 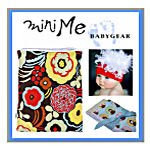 The fabrics are all adorable, but I would have to choose the Pear design as my favorite - so cute! I like the temple dress the best! I like the dress in the pear design.